Clayton M. Christensen, the author of such business classics as The Innovator’s Dilemma and the New York Times bestseller How Will You Measure Your Life, and co-authors Efosa Ojomo and Karen Dillon reveal why so many investments in economic development fail to generate sustainable prosperity, and offers a groundbreaking solution for true and lasting change. Global poverty is one of the world’s most vexing problems. For decades, we’ve assumed smart, well-intentioned people will eventually be able to change the economic trajectory of poor countries. From education to healthcare, infrastructure to eradicating corruption, too many solutions rely on trial and error. Essentially, the plan is often to identify areas that need help, flood them with resources, and hope to see change over time. Clayton M. Christensen and his co-authors reveal a paradox at the heart of our approach to solving poverty. While noble, our current solutions are not producing consistent results, and in some cases, have exacerbated the problem. At least twenty countries that have received billions of dollars’ worth of aid are poorer now. Applying the rigorous and theory-driven analysis he is known for, Christensen suggests a better way. The right kind of innovation not only builds companies—but also builds countries. The Prosperity Paradox identifies the limits of common economic development models, which tend to be top-down efforts, and offers a new framework for economic growth based on entrepreneurship and market-creating innovation. Christensen, Ojomo, and Dillon use successful examples from America’s own economic development, including Ford, Eastman Kodak, and Singer Sewing Machines, and shows how similar models have worked in other regions such as Japan, South Korea, Nigeria, Rwanda, India, Argentina, and Mexico. The ideas in this book will help companies desperate for real, long-term growth see actual, sustainable progress where they’ve failed before. 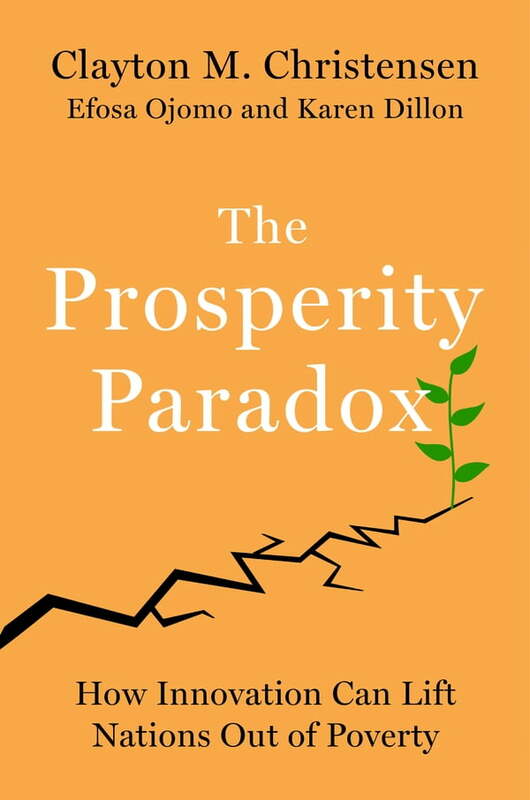 But The Prosperity Paradox is more than a business book; it is a call to action for anyone who wants a fresh take for making the world a better and more prosperous place.